Durability and convenience make the Carpet Pro Commercial Uprights a smart solution for any cleaning job. 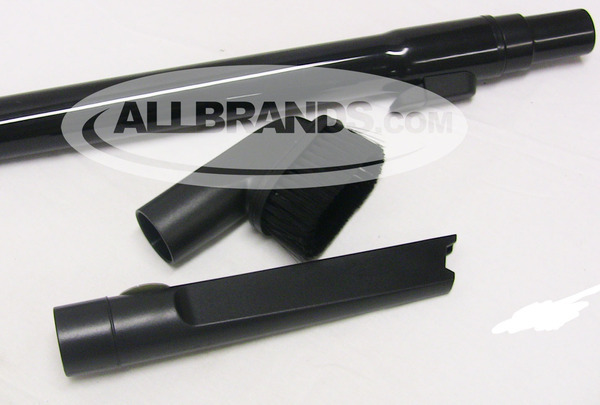 Built to last, these vacuums feature metal from top to bottom with a metal handle, bottom plate and brush roll. The CP2 has metal in all the right places including the motor, the handle, the bottom plate, and importantly the roller brush. The Carpet Pro machine has a completely metal roller brush, and metal bearings. Since the brushes are made of Teflon, they really do a nice job of deep cleaning carpets, especially dealing with pet hair problems. The thing that makes the Carpet Pro Commercial Vacuum so durable is the patented clean air bypass motor system. 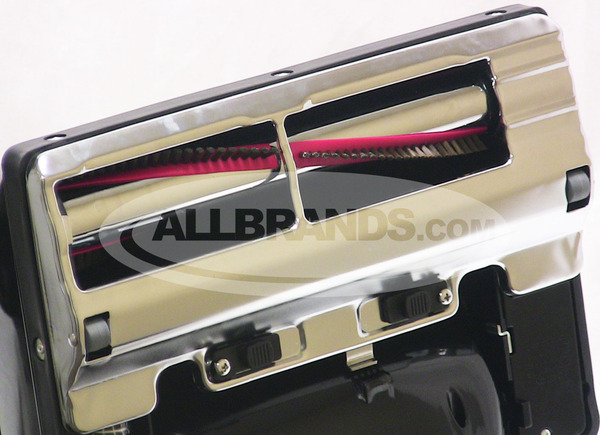 This means that everything that is vacuumed up goes directly into the vacuum bag first, instead of many other vacuums that the dirt goes through the fan and motor first, then goes to the vacuum bags. This makes the motor on this machine much more durable, as all of the dirt is captured in the bag first, then clean air is passed through the motor. The Carpet Pro has a thermal overload on the motor, with a manual reset, which is designed to stop motor burn out from overload. 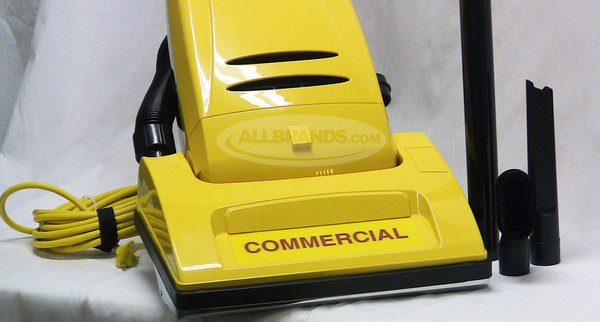 This commercial vacuum cleaner is mainly for floor/rugs and comes with tools on board. These tools include a brush and crevice tool, which are ideal for corners and step cleaning. When you buy with us, you get a 1 year warranty, most online dealers give only 90 days. The model which best fits your proceeding questions/requests is the CPU-2T, these weigh in at just over 18lbs. Can the on-board hose be quickly disconnected on one end to conveniently grab dirt? 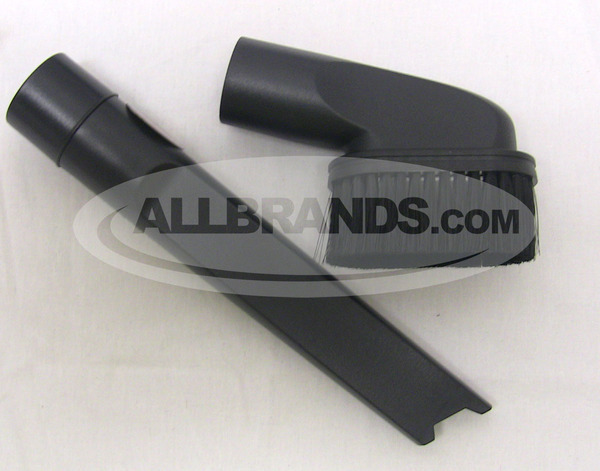 Yes, the hose can be detached from the lower right hand side of the vacuum (as you are using the vacuum). It is held in by friction and can be removed with moderate effort. To answer the second part of your question I will say that you will have to bend over to detach the hose but on the positive side it is at floor level. 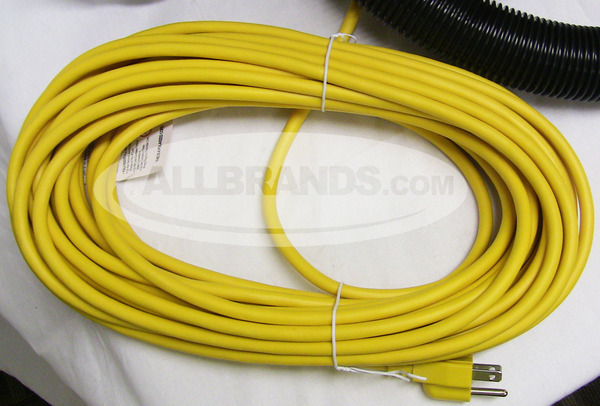 There is an attachment kit that includes a 15ft hose, but the hose is not attached to the machine. It is separate and would be stored separately from the vacuum. The positive of this is that this separate hose attaches to the machine at a higher point and would require less bending-over along with the added length. carpet pro cpu 250 vs carpet pro cpu 350 which has the more powerful motor, 250 has 12 amp motor, 350 has 10 amp, youtube shows the carpet pro 2t has 10 amp motor that vibrates the carpet. does the 250 do this with 12 amp motor or does the 350 due this with 10 amp motor. This vacuum is $400+ cheaper than the dyson pet model I was considering and I'm glad I bought the CPU-2T! It is quieter than my old cheap vacuum I replaced it with (you will likely not disturb a light sleeper) and picks up all of the dog fur and long hair from my head easily. After one vacuum my carpet looked 5 years younger, and it is only looking better with each passing vacuuming-because not only does it pick up dirt and hair with ease it also fluffs your carpet up. There is also no dusty smell that usually lingers after vacuuming due to the super tight seal the bag makes. Beware however you'll need to pick up small toys or coins because this vacuum has no problem sucking them right up! The only downside I have found is that it is a bit bulky for me to carry up the stairs so I will be getting the 30ft attachment hose to easily vacuum my stairs as well as the floor. A bonus with ordering this model here instead of on Amazon is that you get accessory parts and two additional bags (the vacuum comes with one installed) plus free shipping. If you're trying to decide between the CPU2 and the CPU-2T the only difference is the 2T comes with an upholstery brush, corner tip attachment, and an extra extender pipe. 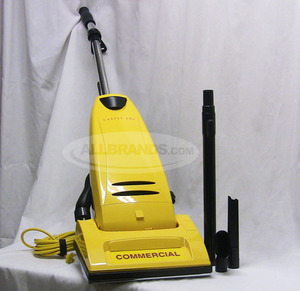 This is a great commercial grade vacuum that you should take advantage of in your home as well. I am using this vacuum commercially so it gets a workout with lots of fine dust, little rocks, etc. After awhile I was thinking it wasn't any better than any other vacuum because it wasn't picking up the very smallest rocks. Then I discovered that the bag was quite full. It shouldn't have needed changing that quickly but that's how much better this machine picks up the dirt. After I changed the bag the little rocks went right up. The only thing I don't see as being that great is the suction when using the hose attachment. I have a hard time getting the hose extensions and tools to stay attached. I can't get them tight enough and the suction isn't that great. Maybe I'm missing something I should be doing but I'm not happy with that part. However, the machine itself is a workhorse and quiet. Best vacuum I've been able to find for doing the main floor. We placed our order over the phone and your Customer Service Representative was extremely helpful, knowledgeable and very courteous. We received the shipping confirmation quickly and are very pleased so far with the quality and performance of the vacuum cleaner. We certainly recommend your company and this vacuum to someone in the market to purchase a machine. Thank you! I already knew what I was looking for in a vacuum cleaner. Your site was cheaper than other sites! My shopping experience was great. Your customer service was great and so far, we are very happy with our vacuum cleaner. We're glad we found your company on the internet. My order #1544912 was placed on 11/3/2010. Today is 11/5/2010, and I received the order!!! I have never had such quick service! Oh, by the way, my order consisted of a Carpet Pro CPU 2T vacuum and some great free accessories. I did a lot of research prior to ordering and your pricing w/free options and free shipping was the best! I took the vacuum out of the box, connected the handle and I was good to go. It is awesome, what a vacuum!!! I also want to thank the young lady that took my order on your customer service line. Her name was Monica, and she was very personable and helpful. Please let her superiors know. Thank you. I love the new vacuum!!! Its great! Very happy with my selection of the Carpet Pro and the ability to find it easily on your site. Especially pleased with quick shipment. I would order again from your company and I have referred others already. Many thanks! Some of the most outstanding and helpful folks I've EVER dealt with on internet purchases. Awsome ladies. Awsome customer service.